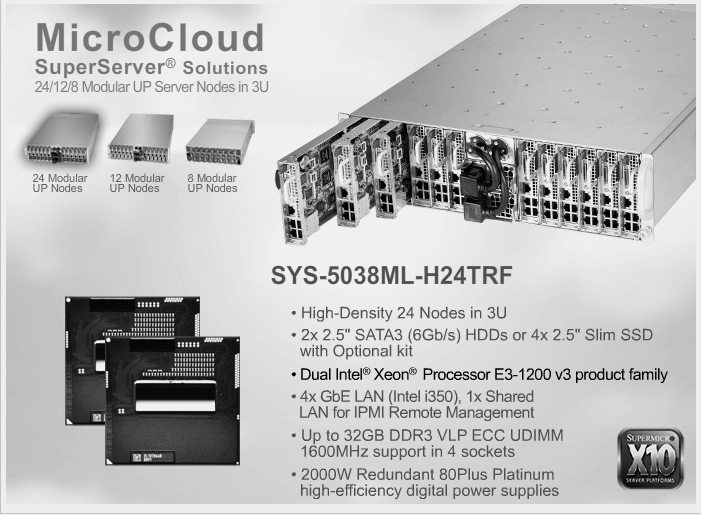 The Supermicro MicroCloud modular server system provides the high density, performance, efficiency and cost effectiveness required for today's demanding server deployments. 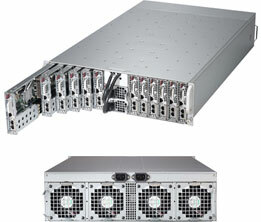 The 24/12/8 modular server nodes are conveniently integrated into a compact 3U chassis that is less than 30 inches deep, saving over 76% of rack space when compared to traditional 1U servers. 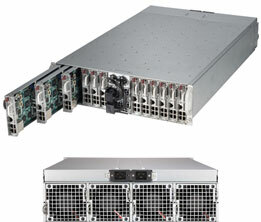 The cable-less, hot-pluggable server nodes operate independently. Each node can provide up to 128GB of memory, one PCI-E 3.0 x8 expansion slot for low-profile add-on card, and 2x 3.5", or 4x 2.5" HDDs with optional kit. The MicroCloud system utilizes redundant Platinum Level (94%) high-efficiency power supplies and sophisticated cooling zone controls for a Green energy profile. 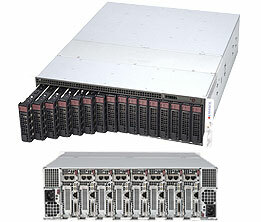 Each node is powered by an Intel® Xeon® processor from the newest E3-1200 v3 family(up to 84W) or E5-2600 v2 family (up to 130W) and AMD Opteron™ 3000 Series. All Sentral server and storage solutions undergo a thorough testing procedure by our in-house System Engineers, prior to shipment. Sentral's customers demand mission-critical reliability. We deliver that.